[ADVERTISEMENT / PR TRIP] This is a sponsored post in cooperation with BIGDAYZ. This article was written by me and all opinions are 100% mine. Whom is a kite safari suited for? The safaris take place when the minimum of passengers is reached and depending on the number of passengers the boat is chosen accordingly. Since we went the first week of Easter we had a boat with 20 participants which was more than a nice group, mixed with all ages. 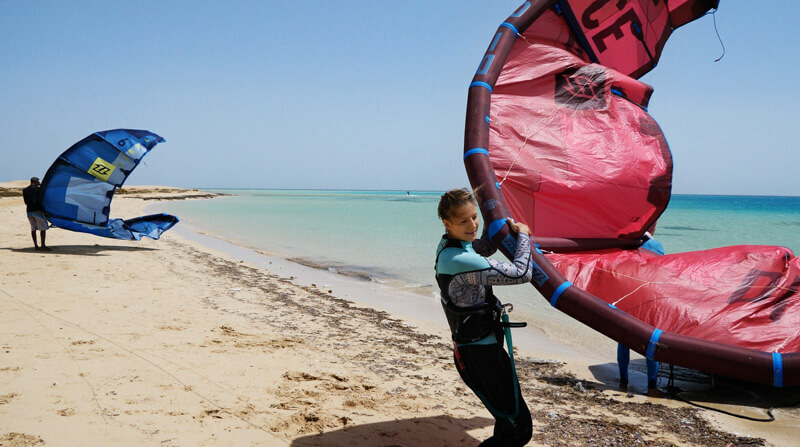 The people were of all different backgrounds and of different levels of kitesurfing – from absolute beginners to advanced kitesurfers. 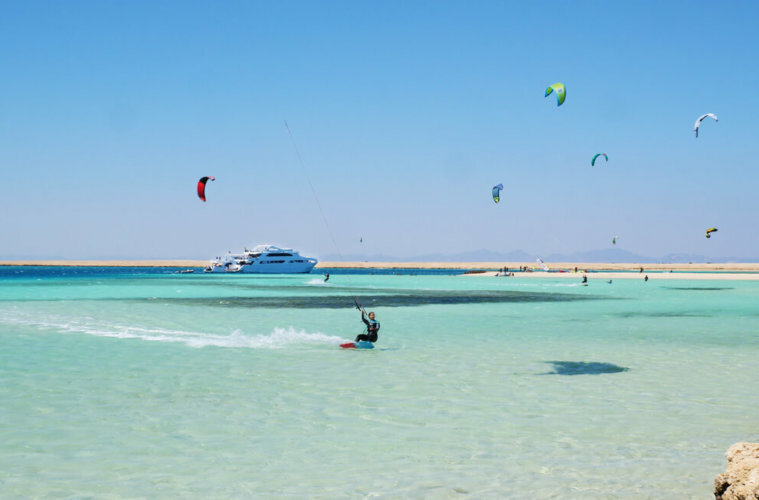 If you’re looking for an exciting holiday where you can kitesurf your heart out, visit different spots and make the most out of every bit of wind, then this trip is for you. Just for beginners as advanced riders alike the spots during the safari offer perfect conditions. 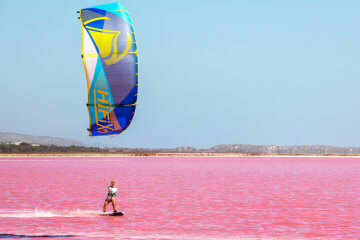 Also if you don’t want to constantly kite there are enough other options on the boat to relax or have some fun. It’s a good choice as well for solo travelers since you easily get to know everyone. 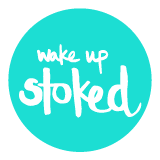 If you have just a one-week-holiday and are looking to relax, unwind, sleep a lot and get home super rested it might not be the trip for you since some nights you will wake up early when the boat is driving to a different spot. Also if you need internet 24/7 it’s not the right choice since we had a few days without internet depending how remote the spot was – even with mobile internet. But even for me (I work remotely) it was a well needed break to get offline for a couple of days and simply enjoy nature. 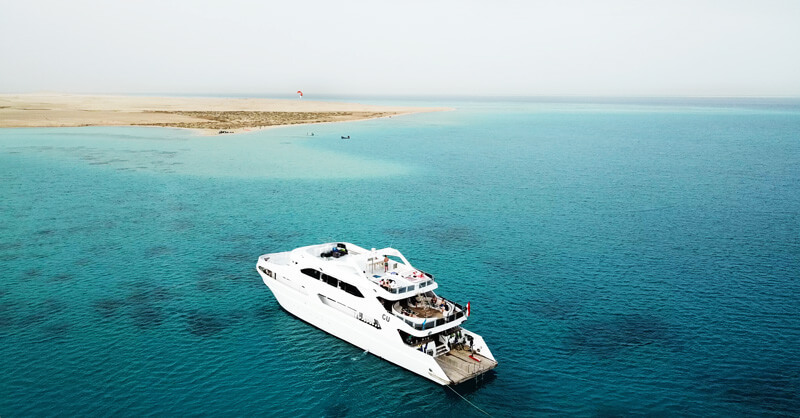 Our Safari started on a Saturday evening so since we were there already before we still got to kite at Soma Bay with the daily boat shuttle with the other guests who arrived early. If you arrive in the late afternoon or evening, you’ll get a transfer right away to the boat. 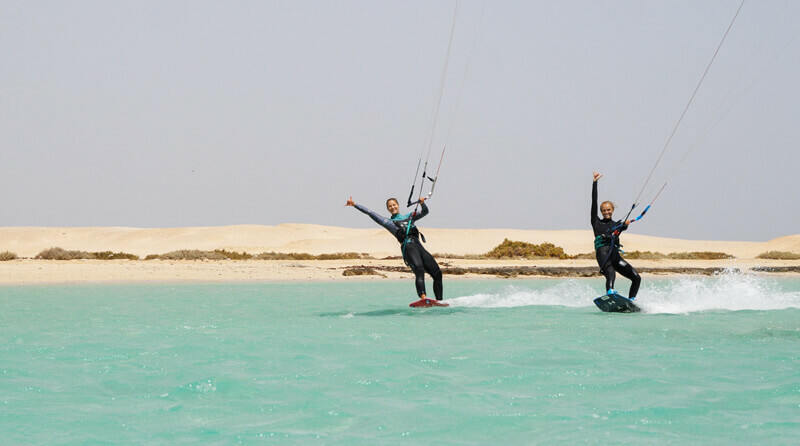 For the more advanced riders there were various options to push your level of riding: doing a kite clinic e.g. with Agata Dobrzynska or foil clinics. 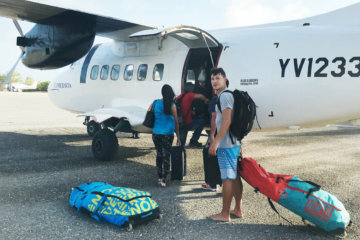 Also for non-kitesurfer or no-wind-days there were plenty of options: daily yoga sessions (also private sessions if you wanted to), massages, aromatherapy, snorkeling and diving. On the first evening we had the briefing with the general programme and were explained that we have a variety of spots to go to depending on the wind and conditions. Depending on the wind and conditions plans are adjusted daily. On the first day we went to the lovely spot Abu Monger which actually has no sandbank at all so our kites were rigged in the water by the kite caddies (same as on the Daily Boat platform in Soma Bay) and our kite caddies did an awesome job on getting us all quickly and safely on the water. 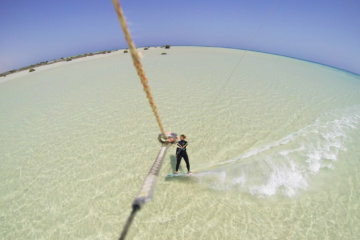 We had a pretty strong day so I was shredding nicely powered on my 7 and felt like in kitesurf heaven. 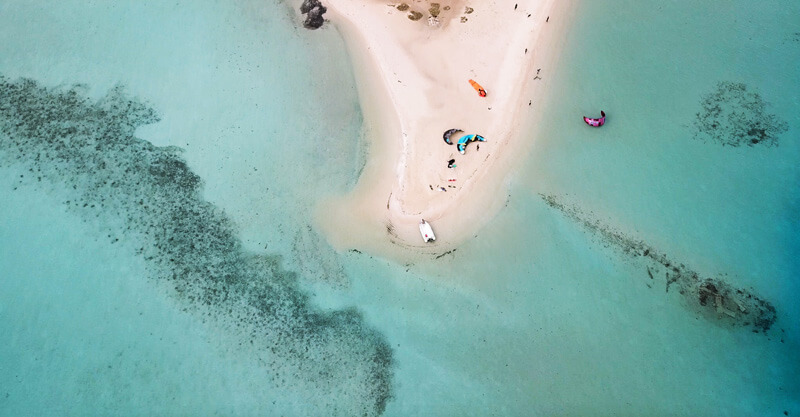 Since I was in Los Roques two years ago I kept dreaming about that place but what I saw on the kite safari was just as beautiful and breathtaking! 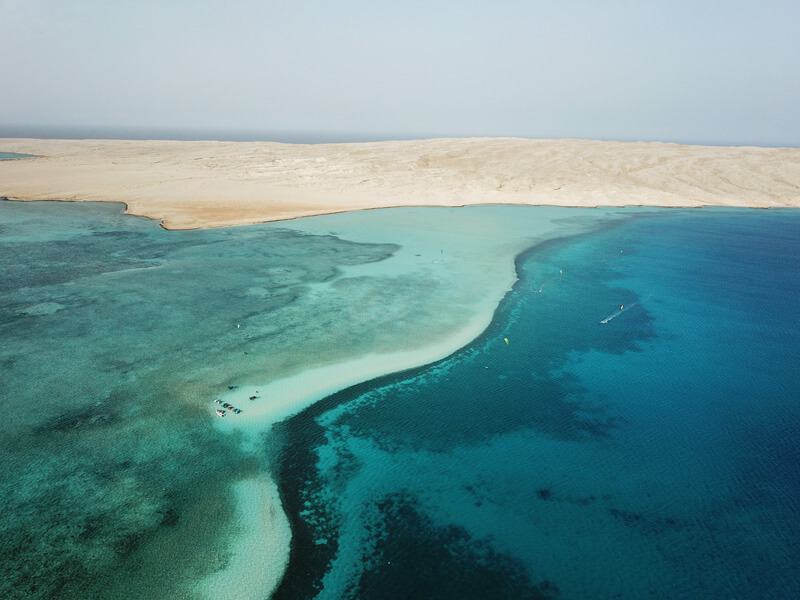 You’d never believe those kind of spots are in the Red Sea, which in my opinion pretty underrated – and an ideal destination for e.g. Germans since it’s only a 4-hour-flight away yet has ideal conditions, warmish water in spring and a good wind chance compared to other spots close by. Our second day started at 3 am with a bit of a rough ride to the next spot. Every spot decision is proposed and discussed the evening before during dinner with the whole group. We all agreed on taking off that early so we would be at the spot at 6.30 and could go out for the first session at 7 – and oh was it worth it! The wind lasted exactly for my 11m kite for a nice pre-breakfast session and then dropped just in time the pancakes were ready. Since it didn’t pick back up as we expected, the foilboard clinics were running and the guys with the big guns and twintips (14 to 19m kites) had a relaxed light wind session. A personal highlight which probably doesn’t happen every day: we had a freshly engaged couple that night! He proposed to her after she had told him she had the best kite session, she had seen dolphins and that it was just the perfect day. Which was the moment he had counted on so that night he proposed. We celebrated with champagne, Bachata music and snacks on top of the deck under the moonlight. I was honestly amazed how well the wind forecast fit while we were being there. Alaa checked the forecast daily and briefed us the night before it would only be windy from around 6 am to 8 am – and he was right again. After the wind dropped we were driving over to the Diving Spot and had a dive down to the ship wreck, seeing millions of fish and corals. Our diving instructor had a wonderful way of showing us great fish and played with them while still being respectful. For the others without a diving license there was a test dive or they could simply snorkel at one of the reefs which must have already been impressing enough. After we finished with diving we drove over to the next kite spot, Geisum, but since the wind was super light only the foilers could get out. Food on board was always good with various salads and a meat or fish dish but this night the cooks simply killed it: fresh fish, shrimps and calamari with yummy salads, grilled eggplant and homemade hummus. We started our day slow since there was no wind in the morning – so finally I could just sleep as long as I want without being afraid to miss out on a surf session 😉 The wind picked up around 12 and created some nice wind waves to jump off from. On day 5 the wind changed direction so now we had the perfect offshore wind with flatwater and more downwind some perfect kickers. It was a pretty strong day with 35 knots so you can imagine how thrilled everyone was. We headed out early at 5.30am for our last kite day in Tawila Marina so that everyone who wanted could get two kite sessions in before lunch. 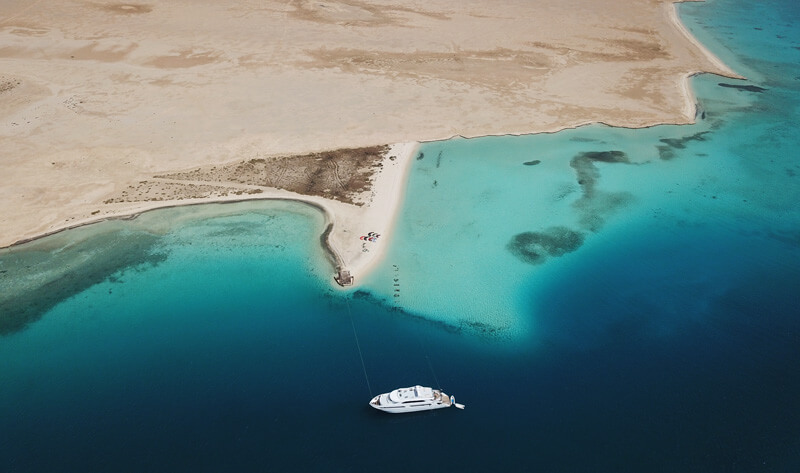 After lunch it was already time to head back to the harbor in Hurghada and we arrived in the early afternoon. Our kite stuff was already brought to the BigDayz Station that evening so the kite caddies could take it right out with them in the early morning and we wouldn’t have to bother. For dinner we decided to head to the new Marina for some fancy dinner and strolling along the promenade, which was the perfect end of our trip. 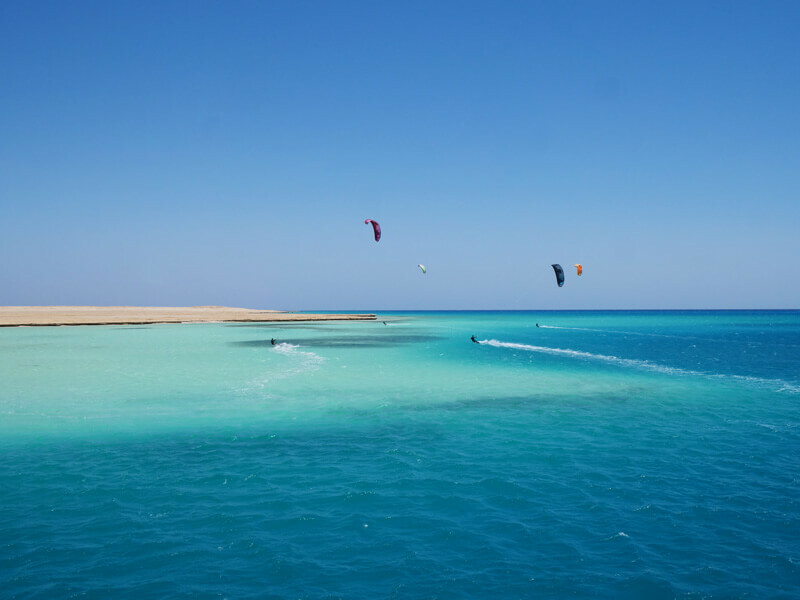 Since all of us who didn’t have to fly back home until the early evening wanted to kite, we headed to the BigDayz station to Soma Bay and took out the Daily Boat for a beautiful last session. 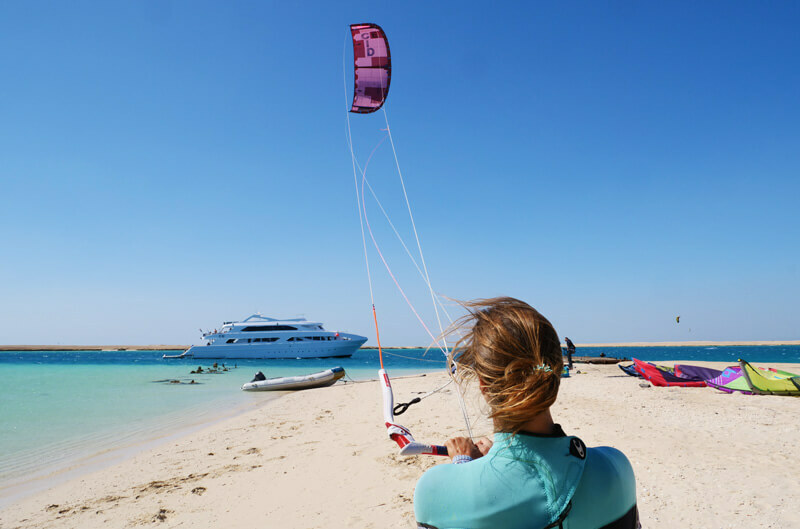 Everything was timed so perfectly that we arrived, out kites were already set up so we launched, kited two hours, then got a yummy last dinner on the big boat El Prince Ali and went back to the station in Soma Bay to wash and dry our kites. After kiting in Cape Town this trip almost seems surreal for me: warmish turquoise water, empty spots (since the crew always chose spots with no boats around), a quick and detailed kite briefing for every new spot so you knew where the dangers like reefs etc were and if you needed to put on shoes (I honestly never did but it was advised for some spots), the perfect team of kite caddies who’d set up everything for you so all you had to do was launch your kite and shred your heart out, Alaa who organized everything perfectly and took care of every little concern (like when someone said their pillow was a bit too „high“ all of our pillows were exchanged 5 minutes later), good food and an awesome group spirit on board. While I’ve never done a boat trip and was somewhat curious how the group dynamics would be, I was more than surprised what a great group dynamic we had and how well everyone got along. It’s safe to say it’s also the perfect place for solo travelers since you are in a group of cool people right away and get to know everyone easily. I’ve felt like this was my own small kite family and could understand more than well why so many of the guests weren’t there for the first time (I think the record holder was already there for the third time). I’m sure it won’t be the last time I’ll see the people I met during this kite cruise! 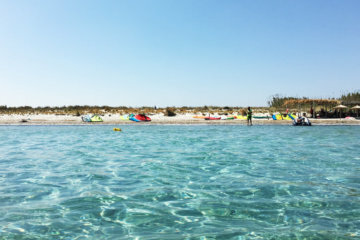 We luckily had wind almost every day but in case there wasn’t we had plenty of other choices (which we didn’t use but are always an option when there is no wind): diving, snorkeling, swimming with dolphins, SUP etc.